Location: Krakow Opportunity: Long Term Working hours: Flexible start and hours coverage in a day Form of employment: Contract Budget: 16 - 22000 net * Do you have experience with Websphere Message Broker? * Do you have experience in enterprise application integration projects * Do you want to join successful company and work with team focusing on new features? We are hiring for this exciting role for our client in Krakow - you will have a chance to join really cool team. Benefits, Cool Office, Latest technology etc. Key Accountabilities: * Undertaking system development using IBM WMB 8 / IIB 10 in accordance with analyst team specifications and system architecture, * Undertaking efficient systems development through the use of good design and implementation methodologies, achieving unit test scenarios, * Assisting in the preparation of comprehensive technical documentation (code review and code quality aspects) to support the completed application. Reach out to me to find out more ! 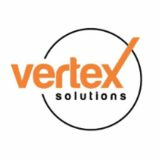 The holder of your data is VERTEX SOLUTIONS. Your data is processed for the purpose of the current recruitment process. You have rights to access your personal data, update, modify or remove it. Providing your personal data is voluntary, but necessary in the recruitment process.